Product Description Lazy Sunday. Ensure that you and your guests have the best seat in the house with the illustrious bliss of the Plush collection. Featuring soft down feathers for unprecedented deep seating comfort and modular design for a totally customizable seating experience. Goliath Putty features a soft and pliable feel with a muted, yet glossy tone. 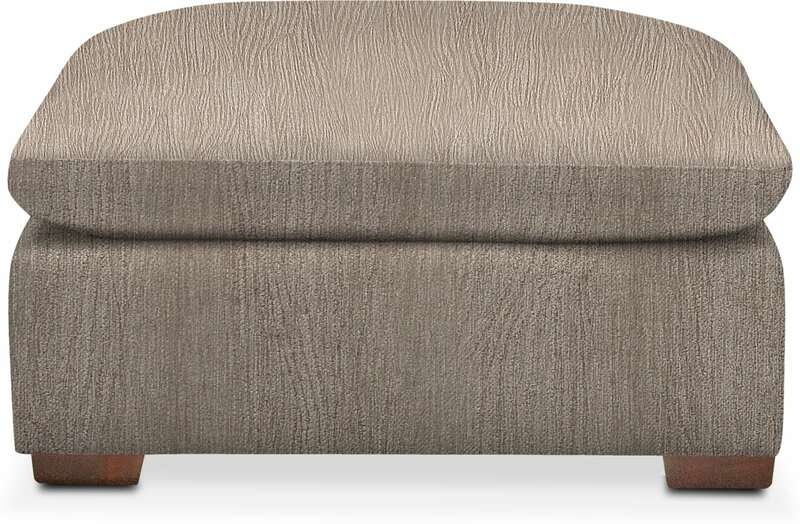 Unique Features: Ottoman has dual functionality as a lush footrest or additional lounge seating.